Officials at Churchill Downs Racetrack have cancelled simulcast wagering and will close their offices on Friday, Jan. 22 because of a looming significant winter storm that could produce 5 to 9 inches of snow in the Louisville area and make hazardous travel conditions for its customers and employees. The National Weather Service expects snowfall to begin in Louisville between 10 a.m. (all times Eastern) and 1 p.m. on Friday, Jan. 22 and continue until 4-8 a.m. on Saturday, Jan. 23. A winter storm warning for the area is in effect until Saturday, Jan. 23 at 7 a.m.
Churchill Downs was scheduled to be open Friday for simulcast wagering in The Parlay from 11:30 a.m. to 10:30 p.m. for wagering on 14 different racetracks around the country: Aqueduct, Laurel, Tampa Bay Downs, Gulfstream Park, Oaklawn Park, Golden Gate Fields, Santa Anita, Fair Grounds, Penn National, Miami Valley, Turfway Park, Delta Downs, Charles Town and Sam Houston. Local bettors who were interested in those signals are welcome to place wagers through www.TwinSpires.com, Churchill Downs’ official online wagering platform. 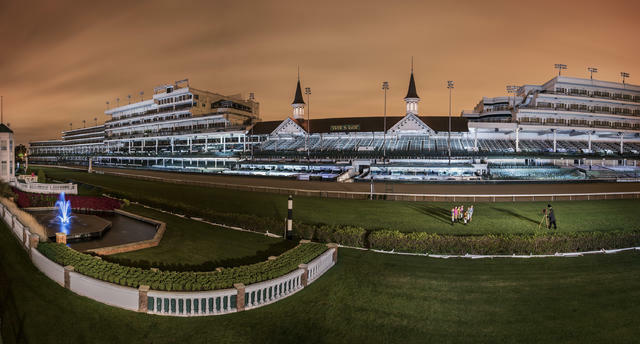 No decision has been made for simulcast wagering at Churchill Downs on Saturday, Jan. 23, which is scheduled to include betting on 15 different racetracks from 11:30 a.m. to 10 p.m. Opening Night for the 2016 Spring Meet is 14 weeks away on Saturday, April 30. The 142nd running of the Kentucky Derby Presented by Yum! Brands will be staged a week later on Saturday, May 7.